Students in Northern Virginia are heading back to school Tuesday, and some will have to bring their immunization records with them. 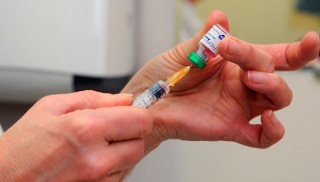 New students in Fairfax County will have to show their immunization records Tuesday. Kindergarten and sixth grade students also need to show their records. If you haven't had your child immunized yet, it's not too late. The Fairfax County Health Department has extended hours for all five of its clinics Tuesday.